Celebrate freshness with Spicy Limonata Collins, a crisp mocktail with spicy ginger, lime and Sanpellegrino Limonata that is the perfect afternoon pick me up. Get your energy back with a Spicy Limonata Collins, and make some for your friends while you’re at it. It’s so simple! 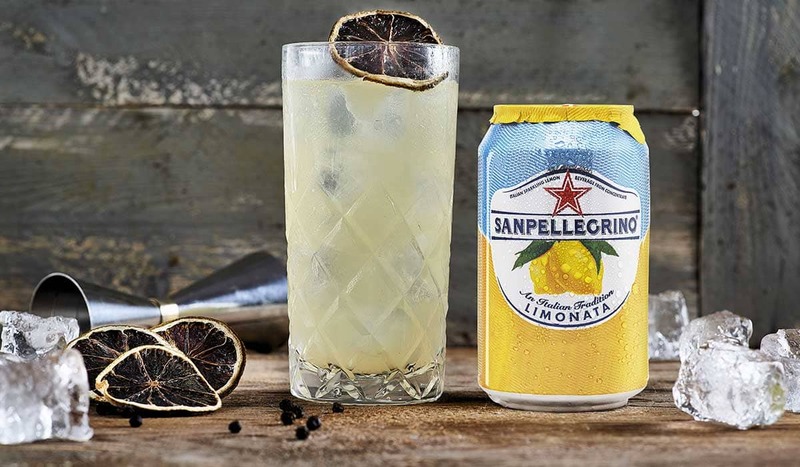 The Spicy Limonata Collins is the perfect combination of zesty ginger and lime, brought together with the freshness of Sanpellegrino Limonata. An outstandingly sharp and thirst-quenching mocktail, it may just steal the spotlight at your next gathering. Try it with some stuffed olives or even a few simple but melt-in-your-mouth tender arrosticini, and let the conversation flow. Squeeze the lime juice into the glass and pour over the ginger syrup. Using a bar spoon, mix to combine well. Fill the glass with ice cubes and complete the drink by topping up with Sanpellegrino Limonata. Garnish with the dried lime slice and freshly grated pepper. If you are 21 years old or over you can turn the Spicy Limonata Collins into an alcoholic drink by adding 1 oz/3 cl of London Dry Gin and stirring well.